Tom Romeo is the president of MAXIMUS‘ federal services division, where he is responsible for operations and strategic expansion efforts. 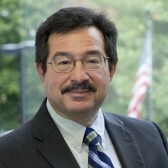 Prior to MAXIMUS, Romeo was at IBM for 25 years, including as vice president for the federal government division, and also worked at Accenture. In his interview with ExecutiveBiz, Romeo discusses how MAXIMUS will help the government implement the Affordable Care Act, the company’s role in enrolling Medicaid recipients and an impactful project he worked on at IBM which aided the move from analog television to digital. ExecutiveBiz: Describe some of the services MAXIMUS federal services performs. Tom Romeo: The motto at MAXIMUS is “helping government serve the people.” It’s a mission that is shared across our entire company, including MAXIMUS federal services. And, much like other divisions at MAXIMUS, our typical role in supporting government is one that directly faces government customers or constituents. In essence, we act as stewards of government programs to ensure that they’re running in a way that represents the government in a very positive light to its consumer set. I think that’s what differentiates us from many of the other large government vendors. For nearly 40 years, our sole focus has been serving the government. We have decades of experience running very large, complex programs for the government and we do it very efficiently and effectively. ExecutiveBiz: Your company has seen great revenue growth recently. With the government looking at the fiscal cliff and other budget cuts, how are you planning to weather the storm and continue to grow? Romeo: You can’t turn on the radio today without hearing about the upcoming cuts. We understand that the cuts are coming. However, our opportunities are really in the area of the Affordable Care Act and in health reform, so in the near term, we really don’t see much impact to our business. In the longer term, we also see key growth opportunities beyond the health care environment in the federal government. While we know that the federal government is going to have less budget to spend, our core offering really is to help government provide better services to their constituents at a lower cost. This has been the mantra of government for several years now, and we believe that in some ways, the budget cuts will open up more opportunities for MAXIMUS as the government continues to focus on doing more with less. ExecutiveBiz: How are you planning to aid the government in the implementation of the Affordable Care Act? Romeo: MAXIMUS’s experience over the last 40 years serving beneficiaries of public health benefits programs is actually very closely aligned with the requirements of ACA. For example, we currently provide enrollment and eligibility support for more than 50 percent of the Managed Medicaid population in the United States. When you look at things like the federally facilitated exchange—the online health insurance marketplace that is being developed to extend insurance access to millions of Americans under ACA—one can quickly appreciate the challenge of handling the eligibility and enrollment functions needed to onboard this population. These “functions” are the core competencies that MAXIMUS has built over the life of the company. So my job is really to help bring those services that we do so well in the states into the federal government and align these services with the federal government’s needs around ACA. ExecutiveBiz: Could you talk about some of those services MAXIMUS performs for the states, specifically? Romeo: In many of the states, we act on behalf of the state as the enrollment broker for their Managed Medicaid populations. So, for example, in the state of Texas, when someone calls in to enroll for Medicaid, it is actually a MAXIMUS representative that picks up the phone on behalf of Texas and helps people determine their eligibility for health benefits and helps them through the enrollment process. We do the same work in New York and many other states. Our eligibility and enrollment support goes beyond Medicaid to include other government programs such as the Children’s Health Insurance Program, or CHIP. We also support welfare to work programs in numerous states and have really developed and refined processes to ensure that these programs are focused on the outcomes that the states need and that they’re carried out in a very cost-efficient manner. ExecutiveBiz: Can you explain how health care exchanges will work in certain states? Romeo: They’re still in the process of standing up today. However, there are some states that have done smaller exchanges – like Connecticut, which has a small business exchange that’s set up today. What that exchange does is it allows employees of small businesses to log into a website where they can review, select and enroll into a health plan from a variety of plans provided as options for those employees. So, in essence, they’re given the tools to help select the best plan for themselves. Once they select a plan, some of the money they pay comes out of their salary and some comes out of the employer’s benefits. The exchange aggregates the money and pays it to the plan so that they get the payment they need to supply the service to the employee. In the new models of the exchanges, you would add in the fact that government will potentially be making tax contributions into the payment to the plan so that adds another dimension to the mix of how the aggregation of the payments would be made. For each state, they’ll have to go through things like plan selection to decide which plans are offered to the population and, of course, the scale of these exchanges is much larger as it involves all individuals who potentially qualify for tax assistance, not just employees at small businesses. ExecutiveBiz: How has your perspective on the federal health landscape evolved since you became involved in contracting? Romeo: One of the areas where I have personally focused a lot of my time and attention is improving health care as it continues evolving over time. Today, the national discussion has really been about providing insurance for those who don’t have insurance, which is an important and commendable goal. However, I believe there’s a much bigger change underway in government around focusing on the outcomes of health care and eliminating or preventing many of the systemic issues that are inflating the costs of health care in our nation. From a reform perspective, I believe that we’re now starting to see government focusing on things like proactive chronic disease prevention and improving the management of care for beneficiaries with complex situations. The government is now playing a much larger role in shifting the way that health care is being purchased and how it’s being incentivized to address these issues and get to the correct outcomes. ExecutiveBiz: When people call from Texas and they want to get enrolled in Medicaid, they’re talking to a MAXIMUS employee or representative. I was wondering would that have been possible when you started your career in government contracting? Romeo: I don’t think that would have been possible. They would have had to walk into an office and wait in line to talk with someone for assistance. Today, having access to support via call centers has become commonplace for beneficiaries, saving them a trip to their local government office. What’s exciting to see is how this notion of citizen service continues to evolve and improve over time. Looking forward, we’re already starting to see support being made accessible online and on mobile devices via apps, which has really matured over the last several years. A key driver of this change is the fact that people now expect access to information in a much different way than they did years ago. Citizens today are more educated about health plan selection, and they expect to be able to see things like which doctors are performing at high rates. Without question, the issue of providing health data to citizens and boosting transparency has become a really large phenomenon that’s ramped up over the last five to 10 years or so. ExecutiveBiz: After being in IBM for a period of time and Accenture, how do you leverage that experience to become a better MAXIMUS executive? Romeo: I truly believe that everyone is a product of their experiences, and I’ve learned a tremendous amount from my work experiences throughout my career, which I’ve brought to my position at MAXIMUS. Some of my most important knowledge was gained by helping on projects that were having challenges. Often, while on these projects, it was my responsibility to build a trusted relationship with the leadership in an agency and work together to ensure that they got to the outcome that they were looking for. It really taught me a lot about the relationships that you need to build and the trust that you need to earn to effectively achieve a desired outcome. What’s been very rewarding for me coming to MAXIMUS is that in my past career, my projects were focused on IT and in delivering IT services for the most part. But at MAXIMUS I’ve moved to a level that’s much closer to helping agencies deliver on their missions and make sure that they get the outcomes they need within the budgets they have to serve their constituents. Taking the business lessons and the management and the customer relationship lessons that I learned in my past experiences and now being able to apply them to my new role has been tremendously rewarding. ExecutiveBiz: Describe some of your best experiences or times where you really felt that you made a difference in people’s lives and helped them. Romeo: First of all, I believe that the government often takes a bad rap. People assume government is very bureaucratic and unable to get things done. I actually see the opposite of that in many cases. I see executives who could be very successful in the commercial world coming into government and dedicating themselves to delivering on things that they truly believe are important to citizens. They often do this for less money than they could make on the outside. And, they put in more time than they would potentially in other jobs. Some of my best work experiences have involved working with these types of federal leaders, who are inspired and are passionate about what they do. As far as experiences where I truly felt like I made a difference, I’d have to include one of my last projects at IBM. I was working on a program called the digital television conversion program, which was helping people transition from analog television and move to digital. When we started the program, there was an assumption between the customer and ourselves that there would probably be the need for roughly two million conversions. That meant having citizens order a coupon, go to a store and redeem it to get a box that they could attach to their television which would make it digital. In reality, there were 60 million coupons ordered. The ramp up pressure that was on the agency was intense, and on us as their partner. Adding to the challenge was that the program had a lot of visibility and a lot of congressional oversight. The funding was obviously set for much lower levels than the program actually needed. I worked through that with the customer and we got everything done that we needed to in the time-frames that were given to us for the conversion. While the situation was extremely stressful, the outcome was very positive and the working relationship was extremely strong. ExecutiveBiz: You said that government executives feel this pressure to serve the need of the citizens. As a MAXIMUS executive who works as an extension of the government under contracts, do you feel that same need to serve the citizen? Romeo: I think a lot of executives who come into companies that help serve the government like MAXIMUS feel this way. We do it for the positive feeling that you get from helping people get the services that they deserve and need from the government. During the early part of my career, I supported banks and insurance companies when I was with IBM. And, while the work was rewarding, it’s hard sometimes to see the social benefit of helping a bank process a transaction a millisecond faster than the last time they processed the transaction. When I’m working at MAXIMUS and we’ve helped someone with a disability get a job, for example, the feeling of satisfaction is a great bonus and it makes me love getting up and coming to work every day.